W@W+ participants in the Mary Meade-Kay Bacon Computer Lab at the Center. Women@Work Plus (W@W+) is a natural extension of and complement to our residential programming. Many program participants are single mothers who have experienced severe poverty and trauma, and are in substance abuse recovery, often at the earliest stage. The women enrolled in this program are provided comprehensive, on-site case management to address the social, emotional, physical, and logistical obstacles to their success in education and employment training. Women@Work Plus is a 22 -week job readiness training program that addresses the vocational needs of women who face multiple barriers to employment, including homelessness, lack of a high-school diploma or equivalency, history of substance abuse or domestic violence, and difficulty obtaining or retaining employment. Case managers provide intensive tracking and outreach services to participants including daily check-in calls to ensure follow through and timeliness. Participants are connected to day care, housing assistance, mental health, and educational vocational resources. 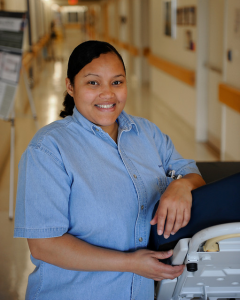 In collaboration with Roxbury Community College, our trainees receive free college-credit courses through the W@W+ program – beginning their pursuit of higher education degrees. Women@Work Plus staff create a supportive and nurturing environment that fosters personal growth and empowerment. Encouraged to attain self-confidence and self-respect, participants learn positive life and parenting skills, and seek to live healthy, fulfilling and interdependent lives. 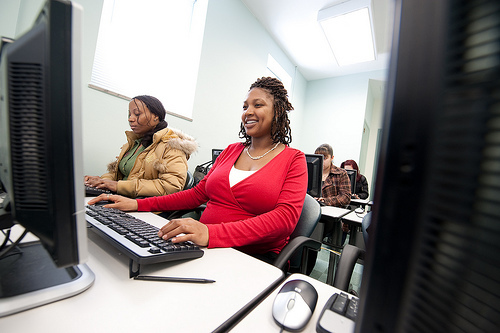 Students of the W@W+ program are trained to enter professions in four stable industry sectors: Real Estate Management, Health Care, Higher Education and Financial Services. We also partner with employer partners in the community to provide paid internships four our trainees. Looking for qualified interns? 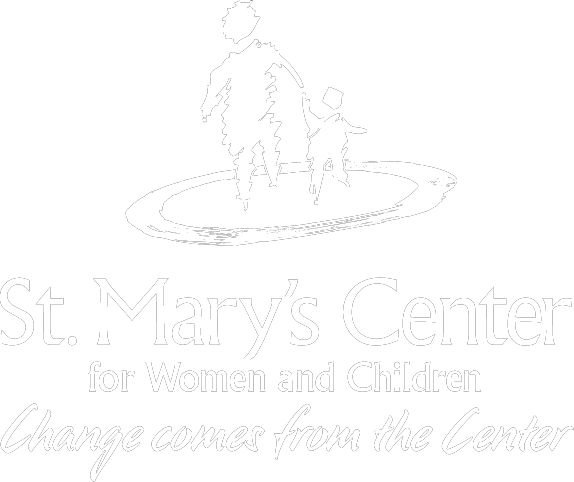 Become an employer partner, contact our Women@Work Plus Employment Specialist, Jessica Roffe at jroffe@stmaryscenterma.org.